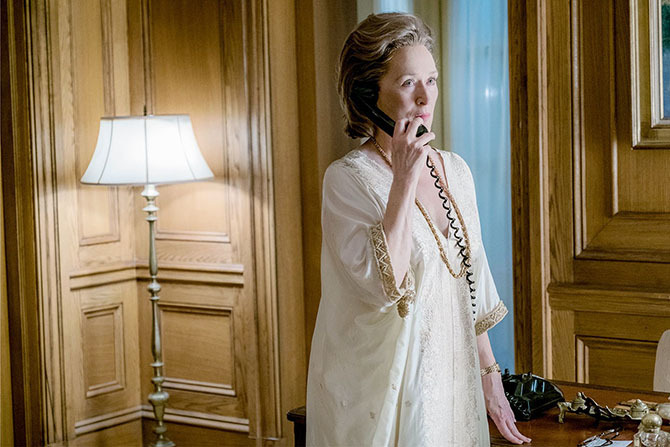 In one of the early scenes of The Post, Katharine Graham, brilliantly portrayed by Meryl Streep, removes one of her button earrings and places it on a desk to take an important phone call. The gesture gets a particularly astute close-up from director Stephen Spielberg. It’s an act a woman understands. Perhaps you saw your grandmother or mother do it or you have done it yourself. 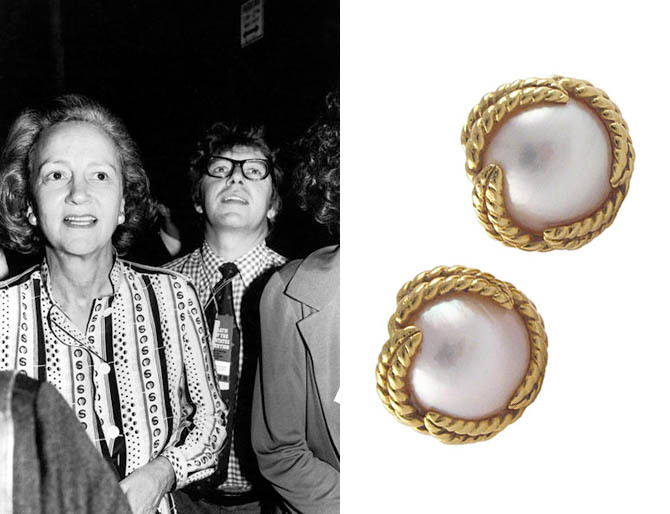 The button earrings Katharine Graham favored had to be removed in order to comfortably hold the receiver to her ear and talk on the phone. 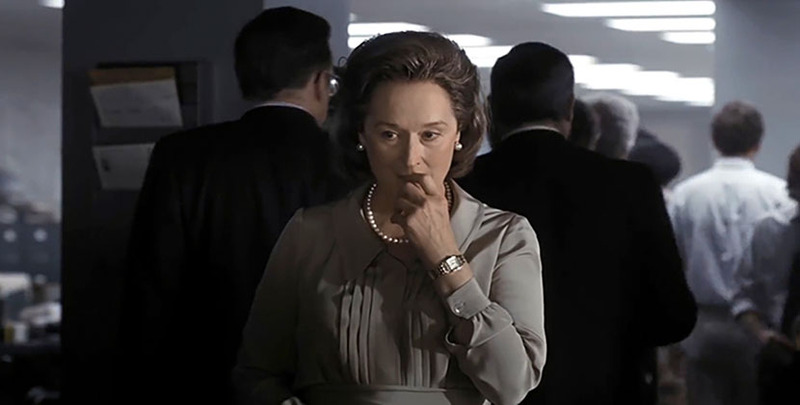 It’s the only time jewelry gets any attention in the riveting plot about when The Washington Post publisher Katharine Graham and her editor Bill Bradley fought with the White House in the early 1970s to publish the Pentagon Papers, revealing America’s crimes during the Vietnam War. Yet, it completely established one of the main messages of the movie. Graham was a woman in a man’s world and she had to negotiate it differently. 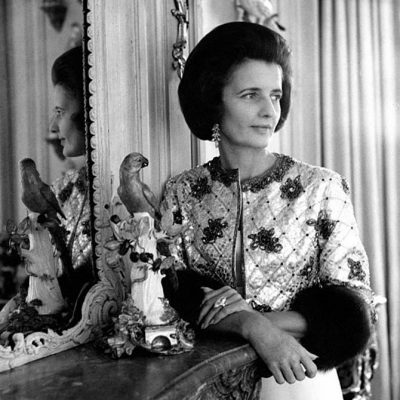 Most press about the costumes have focused on the scene when bad news breaks in the midst of one of Katharine Graham’s parties and she is wearing a gold caftan with a gold chain and watch. 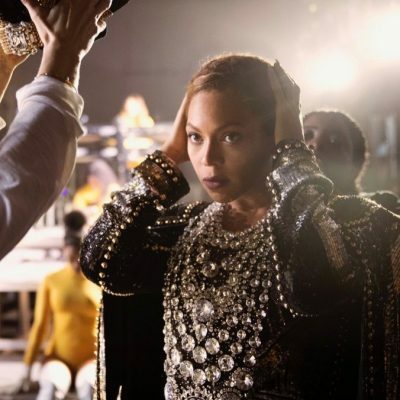 Reviewers have pointed out that in this scene the costume showed the dramatic difference between her attire and the men in grey suits she had to tell what to do. It’s a pretty flamboyant clothing statement, but I am sticking with the subtle first gesture of the earring. For me, the caftan was a bit of Hollywood theatrics whereas the earring maneuver was totally true to Graham’s character. 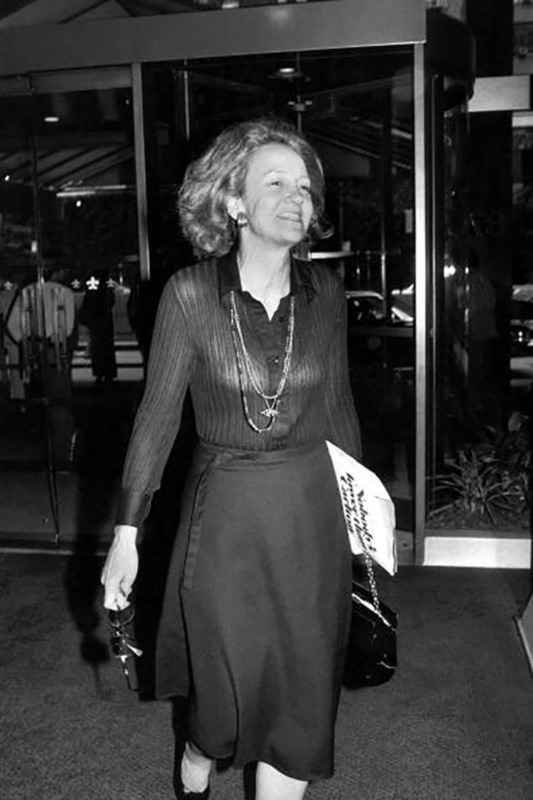 In real life Katharine Graham had a collection of daytime jewels she wore with her shirt and skirt combos, her shift and shirt dresses throughout the 1970s. She did indeed have a pair of pearl button earrings and they came from Verdura. 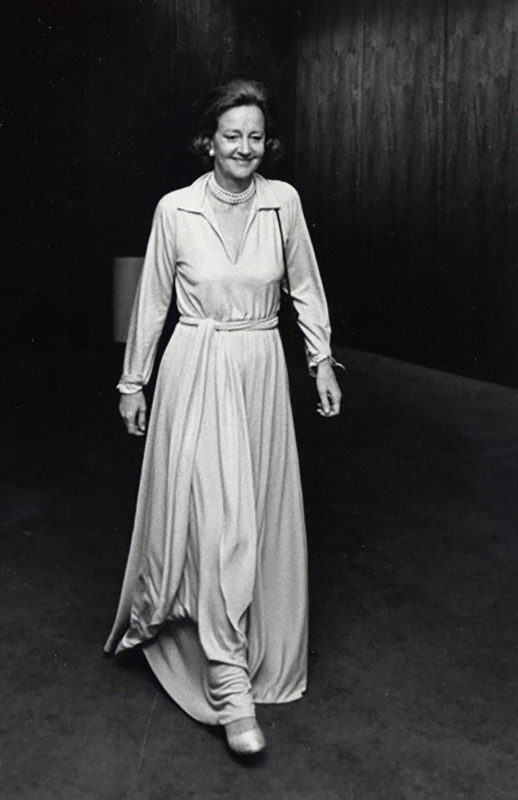 Other pieces in her collection included a pair wide gold hoops she could be seen wearing the day she walked out of the Supreme Court with Bill Bradley seeking permission to publish the Pentagon Papers. I am not sure who made the jewels, but I suspect it was a brand name. It could have been Cartier since she also wore a Cartier Tank watch on a strap during the 1970s. She might have picked it up on one of her shopping trips to New York to shop for the Halston dresses she loved. 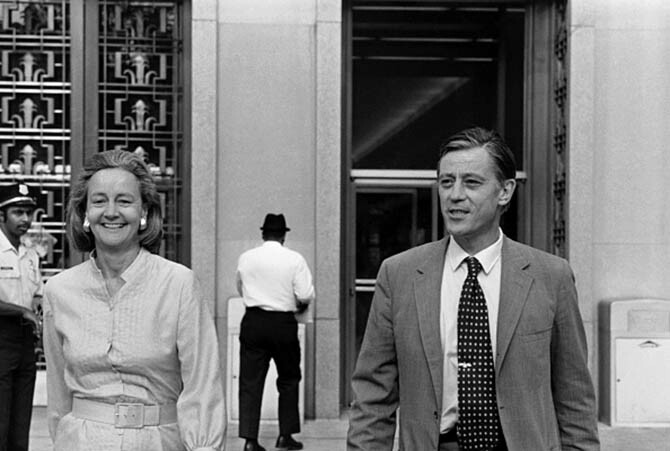 Katharine Graham had textbook 70s jewelry style. She loved a long chain or two. For evening events, she put on a multi-strand pearl choker. Her flawless style was at once feminine and empowering. The simplicity also makes it timeless. Any one of her looks would be equally sensational today as women continue to negotiate their way in the boardroom.